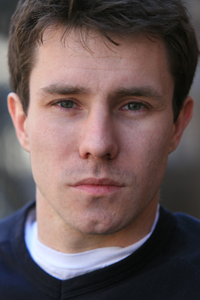 Brian is a graduate of Montclair State University with a BFA in Acting. He has recently worked with the Alliance Theater Company as Dawson in their production of "A Few Good Men" and as George Schneider in The Company's production of "Chapter Two". His short film "The Lemonade Stand" won best comedy short film at the Purple Violet Film Festival. He has just completed his second film, "OH BABY!" Roles with Strangedog include Sam Patch in "New Tricks" and the bartender in "Things That Happen in Bars". Along with his brother Chris, he made a short film called “Oh Baby!” which was a hit in September at The First Annual Friars Club Comedy Film Festival in New York.